Unlike ornamental lawns, sports grounds require effective grassing with regard to rooting and regeneration. A rapid and vigorous growth will heal the more or less important wear according to the recurrence of sportive events. Besides the choice of grass varieties, the agronomic quality of the substrate and the way the turf is fed will have a direct influence on its root and aerial growth. Sports lawns are very sensitive to a regular supplies of nutrients so they require the choice of a specific organic manure preferably complemented by applications of stimulators and foliar fertilizers. 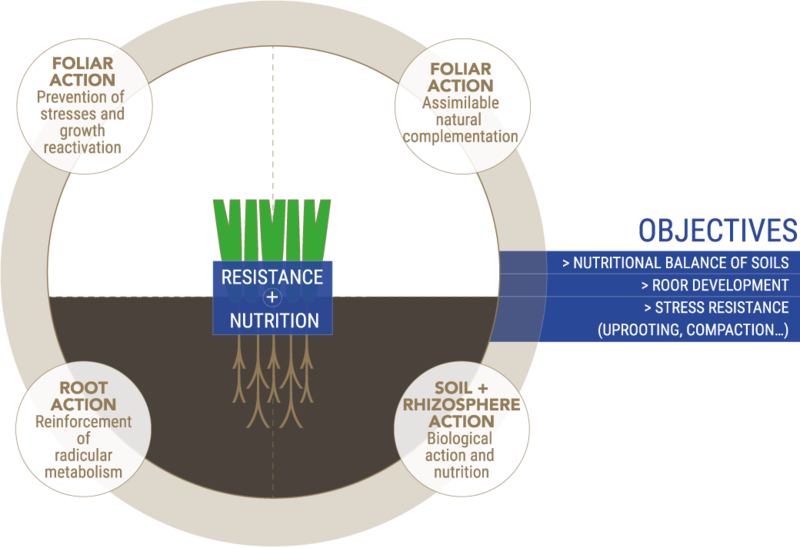 A tailored organic fertilization allows to maintain and improve the physicochemical characteristics of the soil (formation of macro aggregates, water holding capacity) that can promote the penetration of roots in the substrate and act on the intense microbial proliferation around the roots of the rhizosphere. Accurate support through sustainable foliar supplementation will allow the turf to resist stressful conditions. 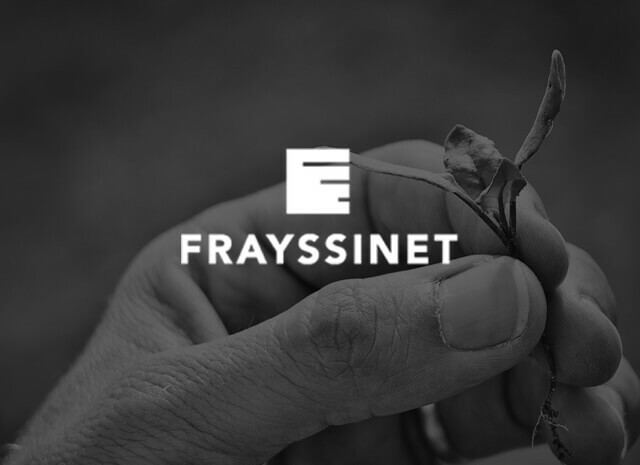 The NSP concept (Nutrition and Stimulation Program) was conceived by Frayssinet research on the complex mechanisms of soil-rhizosphere-plant balance. Only an approach to the system as a whole allows a complete analysis of the behaviour of this vibrant and dynamic organization. Centered on plant growth and health, our conception of fertilization is based on the combination of product specialties and their specific modes of action to meet the needs of users. NSPs are targeted on the rooting and regeneration of grass cover. This objective implies taking into account physical constraints (soil tillage, aeration, drainage, etc.) for the sustainable development of sports fields. The Program is centered on 3 targeted actions: soil-root-foliar. It recommends the use of products of natural origin (solid organic fertilizers and liquid supplement-stimulators) that play a part in the improvement of the physiological mechanisms (mineral and water feeding) and plant resistance (aerial and root systems) especially in stress conditions.